Where do you want to hit the road? Australia is one of the most popular countries to explore in a motorhome, RV or Campervan. 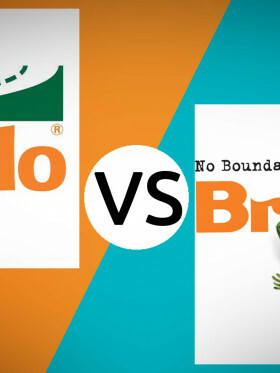 So just who are the leading companies to look out for? Travelling New Zealand in a motorhome is almost a right-of-passage for many road trip fans. So who are you going to want to travel with? Some of the most amazing sites in the world are in the US. But you'll want to get there with one of the most amazing companies. Who is that right now? Spectacular coastlines, amazing geography and wildlife make a coastal road-trip a must. These cities are the gateway to some amazing adventures. If lazing on a world famous beach, working the tan or surfing up a storm are your things, then these cities are the places to hit to start your sandy road-trip adventure. When you’re preparing for an adventure on the road, HitTheRoad should be your very first stop. 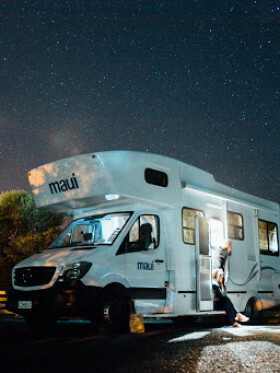 With full listings of every campervan hire company in Australia and New Zealand, and extensive listings of UK and US RV rental companies, we provide campervan hire company reviews, road trip tales, travel advice and comparisons of campervan, motorhome and RV rental prices. You can even book with HitTheRoad, so that’s one more thing to tick off your travel checklist and one step closer to being where you want to be, even if you don’t know where that is yet. When you’re seeking a true escape that’s off the beaten path, there’s no better way to explore than the four wheels of your hired campervan, motorhome or RV rental. Whichever corner of the earth is drawing you in – from the United Kingdom, to USA, to New Zealand and Australia – we’ve compiled the campervan hire companies that can get you around in style. We take care of everything, including insurance packages and any extras you might need to add on for your comfort and safety, such as GPS hire, camp chairs and satellite phones. And, because HitTheRoad sprouted from a love of travel and freedom, we encourage you to share your stories with us. Australia is one of the most popular destinations for campervan trips, with stunning scenery, unlimited adventure, breath-taking landscapes and exciting culture at every turn. There are few other countries that offer white sandy beaches, snowy mountain ranges, tropical jungles and vast desert. 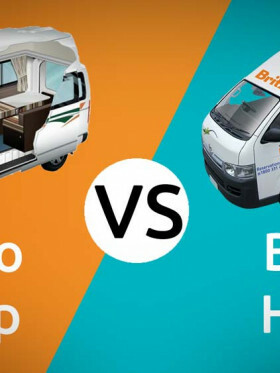 When you rent a car or campervan from HitTheRoad, you get to explore all landscapes in your own tailor-made trip, that’s unique to you and designed by you. 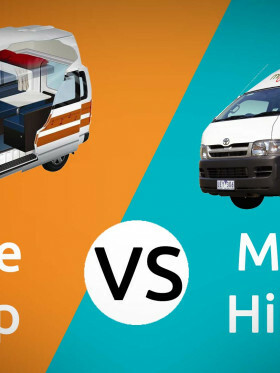 When you want to get down to the heart of Australian cities, a campervan is a great way to do that, while avoiding expensive hotel or hostel stays. Cruise through the stylish city of Melbourne and take in the street art and cool buildings, stay in Sydney and experience its famous landmarks like the Opera House and stunning Darling Harbour, or see what the capital of the Sunshine State, Brisbane has to offer. Whether you want to laze on a hot-sand beach, jump off a cliff, jet boat through a canyon or visit the Lord Of The Rings, a road trip adventure in New Zealand will satisfy your desires. One of the most campervan friendly countries in the world, a campervan hire holiday in New Zealand is appearing on more and more 'bucket lists' around the world. The rugged and beautiful mountains of the South Island around Queenstown make for the kind of photos that appear in galleries around the world. Picturesque Christchurch, the main city of the south, will have you in awe of its natural beauty and be the most likely start point to your wonderful adventure. If you're looking for adventure in wide open spaces and the land of opportunity, then an RV rental holiday in the USA is just the ticket. With the 'golden triangle' of Los Angeles, Las Vegas and San Francisco giving you access to some of the most famous national parks in the world as well as some of the most famous cities, you can't go wrong by loading aboard a US sized RV for a US sized RV road trip adventure. With some of the most luxurious RV models in the world available here, America is built to just get in the front cab and coast. Roll on over to parks with amazing and unique beauty like Yosemite National Park, the Grand Canyon, Zion NP, Arches NP or head on up the Rocky Mountains. In the east there are the famous cities of New York, Washington DC and then glorious beaches and weather of Florida. No matter where you go across this vast country there are people to meet and adventures to experience so jump in the drivers seat and head on off for road trip of a lifetime.